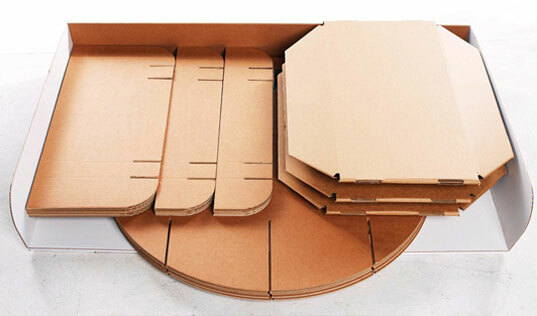 This lightweight, portable cardboard table aims to assist on-the-go creative types like designers and students, who are often limited to work on low desks or floors. Made by Sruli Recht from flatpack cardboard pieces, this lightweight, sturdy design offers creatives an ergonomic plane on which to cut, fold, draft or design. Adding even more appeal to this smart and useful design, the table is biodegradable and can easily be folded up to pack into a portable carrier. 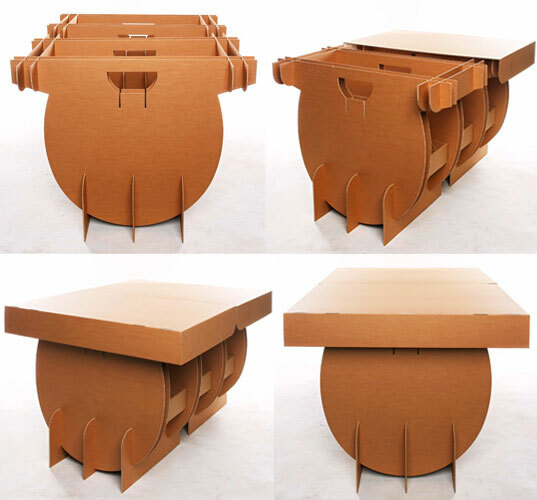 This affordable cardboard table (1500 x 1200 x 930 mm) comes with three collapsible drawers, a jute strap moving/storing box, laminated white surface and all parts are replaceable. Set to launch this week (Thursday, June 12) at Iceland’s Liborius boutique, it will be available for purchase both online and in store. good job, please do it asap. How is a 400 dollar table \"student friendly\"?!?! As I came upon this creative and witty piece of work, I just told myself I want one of these. It is not something fancy and hi-tech; in fact it is very simple. But despite its simplicity, it is very handy and functional. And take note, environmental friendly too!